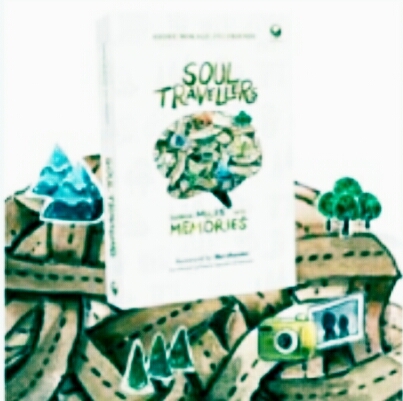 "Soul Travellers: Turning Miles into Memories” is a novel written by 39 author in which they also the world traveler. If you like traveling, this novel suitable for you to read. Novel published by grasindo, it contains profile of authors from various backgrounds and their story when exploring the various parts of the world. There are traveling abroad for journey, studying, work, or even settled. There are stories about the struggle, friendship, or even in love. Every story describe the different spot and atmosphere, written by different techniques, and describe the author's personality and life experience through the traveling. Dinda dwita, one of the author who tells the story adventure in Barcelona, Spain, said that there is no dream that is not possible. "The writing process of this book was challenging because most of the contributor is still in abroad. Communication process using WhatsApp group and email to outsmart the distance and difference time zone," said the team leader of contributor, Andre mokalu in a written statement at antarsumsel.com. Meanwhile, the team leader of the launch book also at the same time is one of the author to novel "soul travelers", Venisha Tjie, hope this work can contribute to the progress of the Indonesia's younger generation open-minded love the country. "Soul Travelers" now available in Indonesia's bookstores and online bookstore.